GIS is putting its foot in Housing solutions too!!! Isn’t it good that you can also get the Housing details with the help of GIS . GIS stands for Geographic information system . GIS is one of the important tool for the people across the globe. GIS is highly used by the housing associations now days, as it helps them in the quick decision making for selecting any location for their house . Have you ever thought of getting all the necessary details while sitting at home; regarding the location and nearby amenities,or to look over the shops to meet your daily need??? How great would that be to analyze and evaluate your considered choices while being at your comfort zone completely?? Yeah it would be so comforting to know about the place where you are planning to move. Know the Shops : You can now the what all shops are there , how far they are ? Know the shops timings: you can also check the time at which these shops get opened. Nearest Stations: Know the nearest stations and how to reach there,which trains to board. Say for an instance ,Google Maps ; Google Maps is one of the most used GIS application. It shows us the Nearby place to our location. Google Maps is the best fit example to understand GIS concepts. 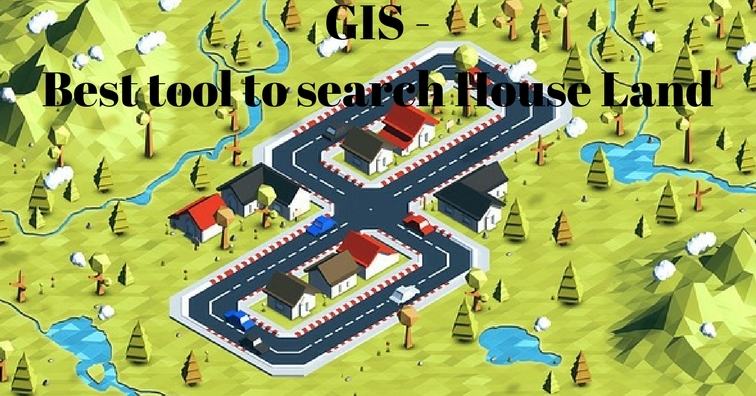 Now , that you are quite familiar with the GIS helps for housing solutions. But the main thing is to know how can we find out the details . So, for knowing that we have to input the Spatial data, such as address,postcodes, locations and the people can produce the visual maps on the go. This information helps us to make quick decision , getting all the money related information for purchasing or renting, how likely your employment would be affected. If we do not use GIS for these Spatial things then we would not be able to fast and precisely see this pattern, as ultimately our main aim is to assess the monetary impact of using GIS on both the Business and customers. Hence we can say that GIS is actually doing good and offering service to its users in every best way possible. Plan your home with the GIS and share your experience with us by commenting below in the comment box.